Mighty Infographics > House & Home > What are People in the UK Fly Tipping? The act of fly tipping, regardless of whether you’re a commercial operator or a member of the public, is against the law. Heavy fines are often imposed on those caught, but that hasn’t prevented the number of fly tipping incidents in England for the year 2015/16 from rising to 936, part of a steady climb from the low of 711 in 2012/13. 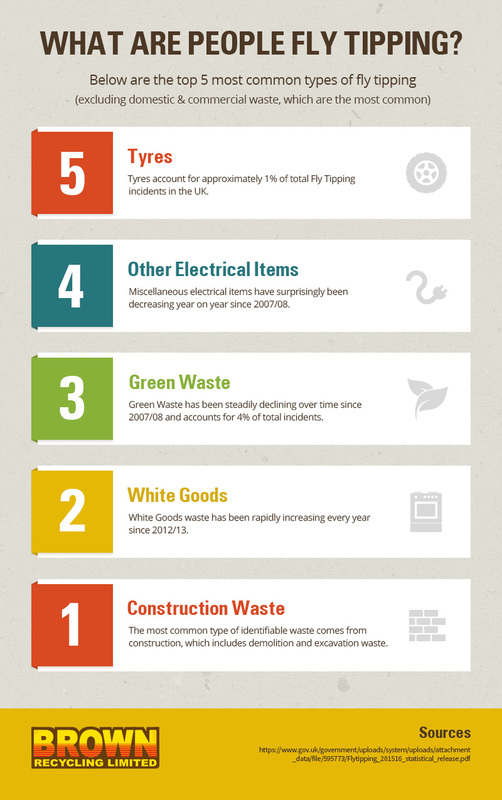 Take a look at this infographic by Brown Recycling to see what people in the UK are fly tipping.